to the accumulation of pus and mucus behind the eardrum, blocking the Eustachian tube. This causes earache and swelling. 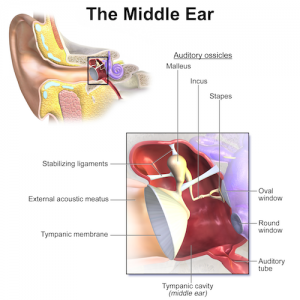 How does otitis media affect a childs hearing? Your child may have hearing loss if he or she is unable to understand certain words and speaks louder than normal. Essentially, a child experiencing hearing loss from middle ear infections will hear muffled sounds and misunderstand speech rather than incur a complete hearing loss. Even so, the consequences can be significant  the young patient could permanently lose the ability to consistently understand speech in a noisy environment (such as a classroom) leading to a delay in learning important speech and language skills. A hearing test should be performed for children who have frequent ear infections, hearing loss that lasts more than six weeks, or fluid in the middle ear for more than three months. 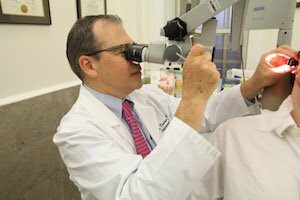 There are a wide range of medical devices now available to test a childs hearing, Eustachian tube function, and reliability of the ear drum. 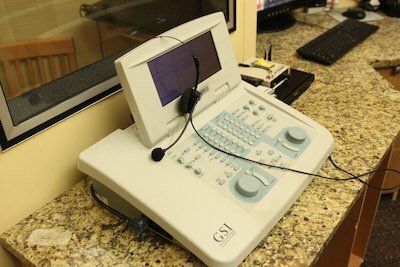 They include the otoscopy, tympanometer, and audiometer. Otosclerosis: This is a disease of the otic capsule (bony labyrinth) in the ear, which is more prevalent in adults and characterized by formation of soft,vascular bone leading to progressive conductive hearing loss. It occurs due to fixation of the stapes (bones in the ear). Sensorineural hearing loss may result because of involvement of the cochlear duct.